Our lineup of beloved treasures features three renowned composers – Wolfgang Amadeus Mozart, Richard Strauss and Pyotr Ilyich Tchaikovsky. Enjoy the stunning strains of the symphony penned for the Austrian town of Linz, while Serenade, Op. 7 and the Mozartiana suite serve as a tribute to Mozart’s influence on later composers. 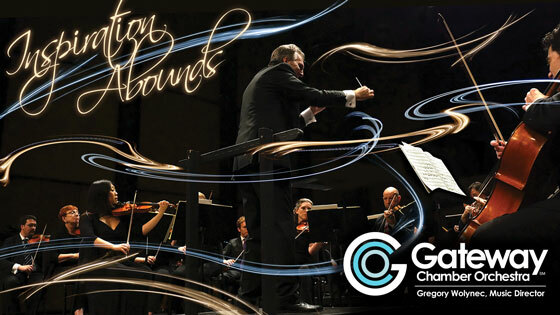 Masterworks Concert #3 of Gateway Chamber Orchestra's 2018-2019 season, Inspiration Abounds. Click here for the Spring 2019 Two Concert Package. Get tickets for both the January 28 and April 8, 2019 concerts at a discounted price.